Accepting violin, viola and cello students at all levels. Beginners may enroll as young as age 4 or 5. Inquiries welcomed from all! In the Illinois String Academy, students, parents and teachers work together to create a fun and rewarding environment for children and young adults learning to play the violin, viola and cello. Students engage in a weekly lesson with a private instructor, attend weekly group classes, and perform together regularly (download our syllabus below for details). Special attention is given to the beginning stages of instruction; it is during this time students receive their foundation for future development. Note reading, rhythm and ear training are developed starting from the first lessons. *New this year. * Beginning students age 5-8 who join our beginner's group class are eligible to enjoy a reduced "beginner's rate" for group classes during their first two semesters. See syllabus for details. Group classes cultivate peer learning and enhance motivation. They are an excellent opportunity for students to receive additional feedback from teachers in a unique setting, gain experience playing in an ensemble, work on a weekly basis with a professional accompanist, and have consistent practice in solo performance for their friends and family in a relaxed and supportive atmosphere. Interested families should contact the Coordinator, Dr. Aaron Jacobs at ajacobs4@illinois.edu. An introductory consultation and/or trial lesson may be scheduled free of charge. Rebin Ali, violin, was born in the city of Suleimanya in the mountainous northern region of Kurdistan, Iraq. He studied at the College of Fine Arts of Salahaddin University in Erbil. He also studied at the Iraqi YES Academy with American Voices in 2009 and 2010. In the fall of 2010 Rebin was invited as a full-scholarship student to study Music and English at Saint Louis University. During the 2010-12 season he played in the St. Louis Symphony Orchestra under the direction of Ward Stare, and studied violin with Marc Thayer. In 2011 Rebin was one of three featured soloists in a concert of Middle Eastern music sponsored by New England Conservatory in Boston. He has also been a guest artist in various concerts with the St. Louis Symphony’s Community Partnership Program. Rebin has participated in music festivals such as Eastern Music festival, Bowdoin Music festival, Brevard Music Festival, and the Pheniox phest in Michigan. His teachers include, Meghan Frievogel, Stefan Milenkovich, Carolyn Hubel, and Marc Thayer. 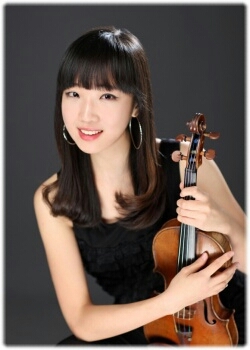 Rebin holds BM degree in violin performance from the University of Illinois at Urbana-Champaign. Dr. Aaron Jacobs’ teaching blends influences from the pedagogy and teaching philosophies of Ivan Galamian, Paul Rolland, Shin’ichi Suzuki, Mimi Zweig and traditional methods. With nineteen years of teaching experience among all age and ability levels, he has taught at universities, academies, music schools, and summer camps throughout Ohio, Maine, Wisconsin, and Illinois. Currently, Aaron mentors a full studio of 30+ violinists and violists, and a staff of 15+ graduate and post-doctoral instructors through the School of Music at the University of Illinois at Urbana-Champaign, where he founded the Illinois String Academy as part of the School of Music’s community education offerings. What started as just a small private studio in 2009 is now the musical home to more than 125 string students, offering private lessons, group instruction, a pre-college chamber music program, a spattering of music theory, ear-training and composition classes for youth, and a popular internship program that provides university string majors with pedagogical training, observation and hands on experience. Aaron also created a violin program for Danville, IL school district 118. Beginning in January of 2015, this program offers violin instruction to nearly 200 first and second grade students at two elementary schools in Danville, IL. Aaron’s private students consistently win top honors and receive numerous performance awards each year, including solo concerto performances with orchestras as well as admission and scholarship offers to prestigious collegiate music institutions. As a performer, Aaron is in high demand as a soloist and chamber and orchestra musician. During the past decade he has performed as concertmaster or principal second violin for twelve different orchestras throughout Illinois. As an active chamber and solo recitalist, Aaron has performed throughout the United States and Europe, and has been the featured soloist for orchestras in Ohio and Illinois. He has also been the recipient of several honors and awards, and a prizewinner at international competitions. In duo with his wife and pianist, Tatiana Shustova, performances of recent years have ranged from concert halls in the Midwest and East Coast to Italy and Russia. Tatiana and Aaron currently reside in Urbana, IL, with their two sons, Pavel and Mikhail. 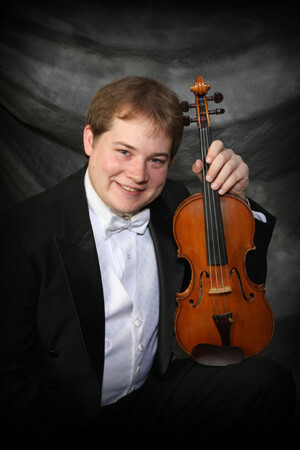 Aaron holds a Bachelor of Music degree in music education and an Artist’s Certificate in violin performance from Bowling Green State University in Ohio, a Master of Music degree in violin performance and string pedagogy from Northwestern University, and a Doctor of Musical Arts degree in violin performance and literature from the University of Illinois at Urbana-Champaign. 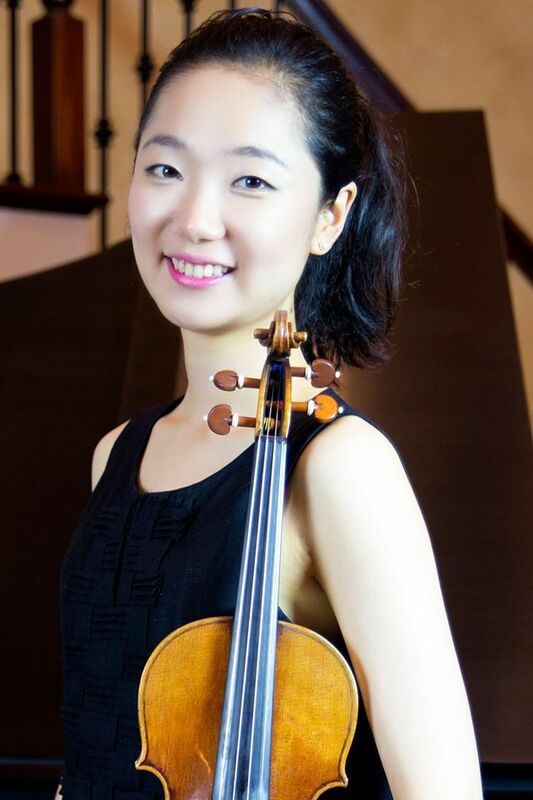 Gaeun Kim holds a Bachelor of Music degree in violin performance from the University of Kansas as a Capps-Rogers Scholarship recipient, and a Master of Music degree in violin performance from Northwestern University where she studied with Almita and Roland Vamos. As a passionate solo violin player, she was the winner of KU concerto competition and performed with the KU Symphony Orchestra at Lied Center. She received scholarship recognition from the Kansas Music Club and Sigma Alpha Iota, and was awarded the first prize in Nafzger Young Artists Audition. She has also played in many prestigious music festivals such as the Aspen Music Festival as a full-scholarship recipient, Summit Music Festival in New York, Great Mountain Music Festival in Korea, and Chautauqua Music Festival where she served a concertmaster for the orchestra. As an active chamber and orchestral musician, she was broadcasted on NPR classical radio as a member of the Crimson String Quartet, and served as a regular member of the Civic Orchestra of Chicago, working with renowned conductors such as Cliff Colnot, Semyon Bychkov, Sir Andrew Davis, and Nicholas Kraemer. As an educator, she is devoted to teaching students of all ages and levels. Her past teaching experience includes students from the Chicago Youth Symphony Orchestra, Northwestern String Academy as well as private studios in Evanston, Chicago, and Glenview. Now in her first year of doctoral studies at the University of Illinois, Ms. Kim studies with Nelson Lee of the Jupiter String Quartet. obtained the Music Teacher’s Certificate for Secondary Schools and worked as an instructor and mentor for orchestras in public schools at the elementary, middle, and high school levels. She also worked as an Instructional Assistant in the Paul Rolland String Camp in 2018 and participated as a string mentor in the “Make More Music!” program at Urbana Middle School in 2017. She has taught students of all ages privately for 13 years. Min Jung received awards and scholarships for academic excellence while pursuing a Bachelor of Music degree from Dankook University. After graduating at the top of her class, she stayed on at Dankook to earn a Master of Music Education degree. She then earned a second Master of Music degree in Music Education from the University of Illinois as a recipient of the graduate Music Tuition Waiver. In 2016, she won the graduate division of the Paul Rolland Memorial Violin Competition, and as the recipient of the Paul Rolland Memorial Graduate Violin Award, she then received the School of Music Annual Music Award in 2017. Min Jung is currently a DMA candidate in violin performance and literature and recipient of the Cooke School of Music Fellowship at the University of Illinois School of Music, studying under Violin Professor Megan Freivogel. A native of South Korea, violinist Seul Lee is a multifaceted musician performing solo, chamber, and orchestral music. Lee's artistic passion has taken her to various venues in Korea, France, and the US. In 2007, Lee was invited as the concertmaster of Asia Philharmonic Orchestra Academy under maestro Myung Whun Chung. Lee's extensive orchestral experience in the US includes playing with Korean Symphony Orchestra, Minnesota Orchestra, and Indianapolis Symphony Orchestra. As an active string quartet player, Lee has performed at Krannert Art Museum and participated in DOCHA Music Festival performing Mendelssohn's Octet with the members of Jupiter Quartet and faculty members of UIUC. In April of 2014, Lee won the UIUC symphony concerto competition and she performed Mendelssohn Violin Concerto as a soloist with UIUC Symphony Orchestra in February of 2015. Lee received her BM in violin performance from Seoul National University and MM from Indiana University's Jacobs School of Music with Mauricio Fuks. She is currently pursuing her doctorate degree at University of Illinois Urbana-Champaign under the tutelage of Stefan Milenkovich. Leah Sweeney holds a Bachelor of Music in cello performance from the University of Illinois where she studied with Brandon Vamos. Her principal chamber music teachers include Ani Aznavoorian, Sibbi Bernhardsson and Simin Ganatra. While at the Univeristy of Illinois, Leah was awarded the Thomas J. Smith Scholarship. Leah is an active chamber and orchestral musician and has performed concerts in the United States and Europe. Her orchestral experience includes performing with local orchestras including the Illinois Symphony Orchestra, Sinfonia da Camera, Champaign-Urbana Symphony, Prairie Ensemble and Danville Symphony. For more than a decade, Leah has maintained a studio of 40 cello and piano students. She is professionally trained in the Suzuki Method and has experience teaching students of all ages and levels. 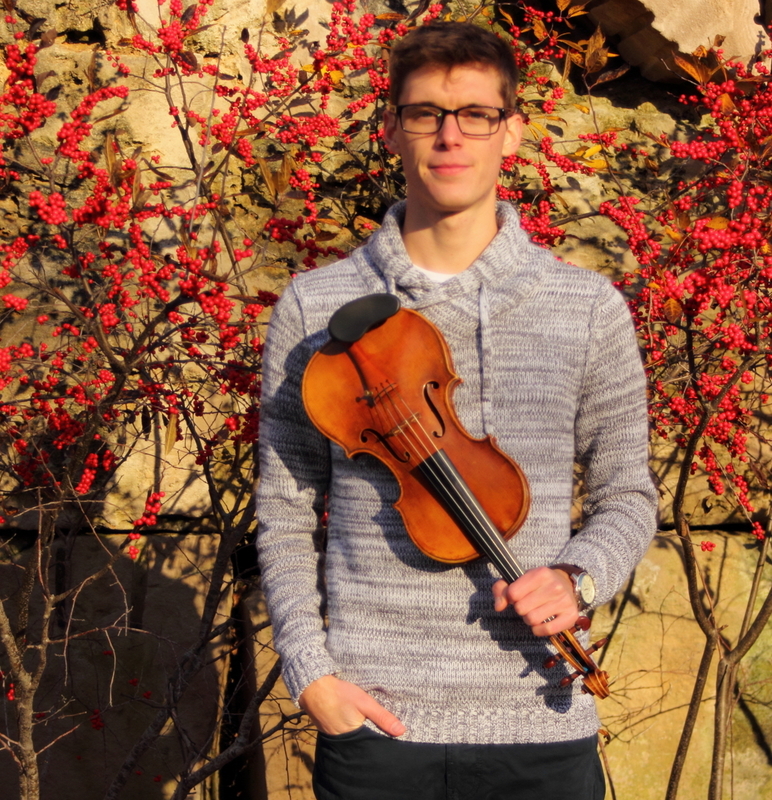 An avid orchestral and chamber musician, violinist Trevor Thompson has performed a wide range of repertoire in concert halls throughout the midwest. Trevor has performed regularly with the Ohio Valley Symphony, Heartland Festival Orchestra, Sinfonia da Camera, and has premiered several new compositions as a member of the Illinois Modern Ensemble. A passionate chamber musician, Trevor has studied at the Montecito International Chamber Music Festival, the Bowdoin International Chamber Music Festival, as a Fellow at the Madeline Island Chamber Music Festival, and has performed in concert alongside Berlin Philharmonic violist Matthew Hunter in a performance of Mozart’s Piano Quartet No. 2 in Eflat major. Throughout his studies, Trevor has had the opportunity to perform in masterclasses with Laurie Smukler, Yuan-Qing Yu, Soovin Kim, Mariciuo Fuks, and Robert DeMaine. As an educator, Trevor has a passion and experience working with a wide variety of students and levels. 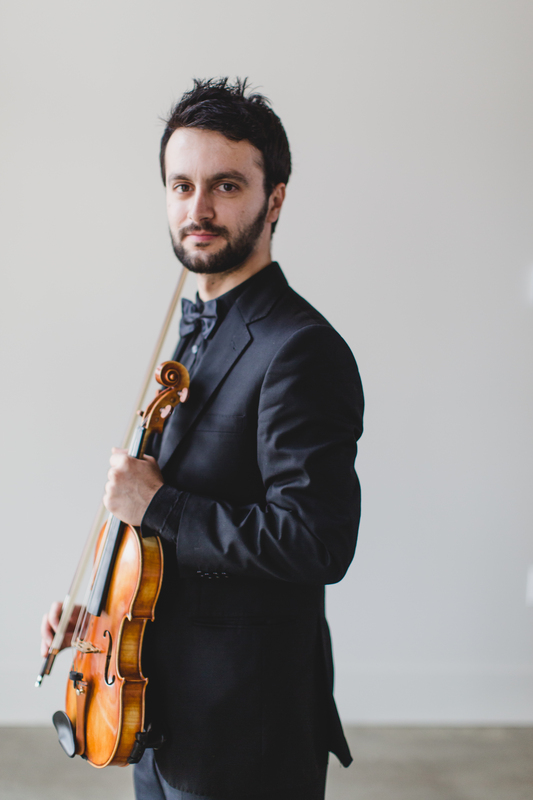 Trevor has served as a violin instructor with the Athens Community Music School in Athens, Ohio, as a guest instructor with Danville area middle and high school orchestras, and is currently a Teaching Assistant at the University of Illinois. Trevor received his Bachelors degree from Vanderbilt University and is currently pursuing a Masters degree at the University of Illinois as a graduate Teaching Assistant. Trevor’s primary teachers have included Stephen Miahky, Stefan Milenkovich, Meg Frievogel, and members of the Jupiter String Quartet. Violist Elizabeth Trower holds a Bachelor of Music degree from Missouri State University, as well as a Master of Music degree and a Graduate Artist Certificate from the University of North Texas. There, she studied with Dr. Susan Dubois and was the viola teaching fellow for two years. 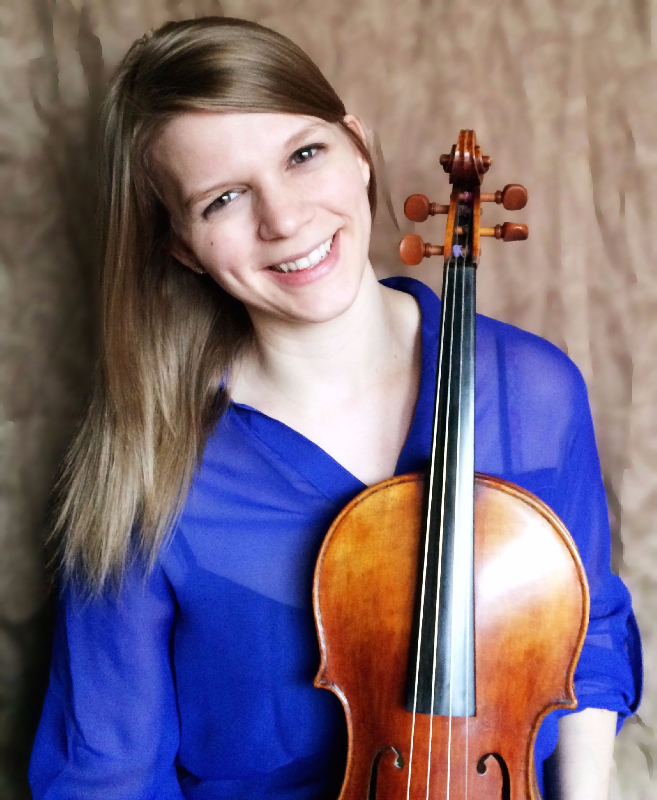 Now in her third year of doctoral studies at the University of Illinois, Ms. Trower held the viola teaching assistantship for two years and studies with Elizabeth Freivogel of the Jupiter String Quartet. 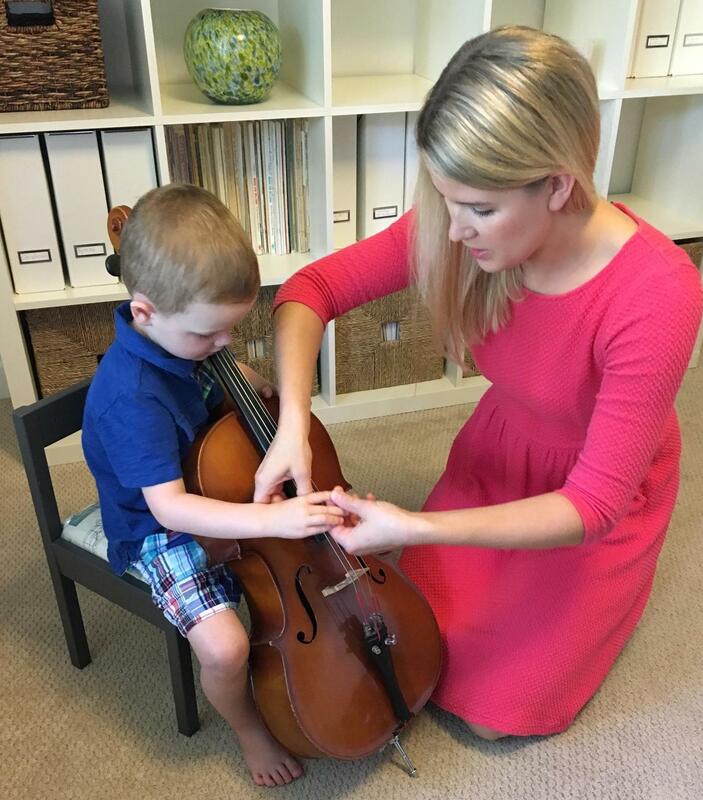 Ms. Trower’s eleven years of string teaching experience also include children’s group classes, lessons and sectionals within the public school system, and a private studio of violin and viola students. As a soloist and chamber musician, Ms. Trower has performed in masterclasses for Donald McInnes, Karen Dreyfus, Carol Rodland, Jeffrey Irvine, Karen Ritscher, Miles Hoffman, Augustin Hadelich, Amit Peled, and the Shanghai, Ying, Chiara, and Danish string quartets. Additionally, she has participated in the Karen Tuttle Coordination Workshop, Boston Early Music Festival, Green Mountain Chamber Music Festival, Bowdoin International Music Festival, and UNL Chamber Music Institute, as well as the Tafelmusik Baroque Summer Institute in Toronto, Canada. She has also worked with students at Missouri State String Fling, Missouri State Theory Camp, and Illinois Summer Youth Music. Ms. Trower currently serves as the principal viola of the Eastern Symphony Orchestra, associate principal viola of the Champaign-Urbana Symphony Orchestra, and section player and Music Librarian of Sinfonia da Camera.